These photos appeared originally in the Spanish sports paper Dario Grafico Deportivo in the build up to Celtic’s visit to the Santiago de Bernabeu Stadium in 1980 for a European Cup tie. Celtic were set to defend a 2-0 victory from the first leg at Celtic Park. 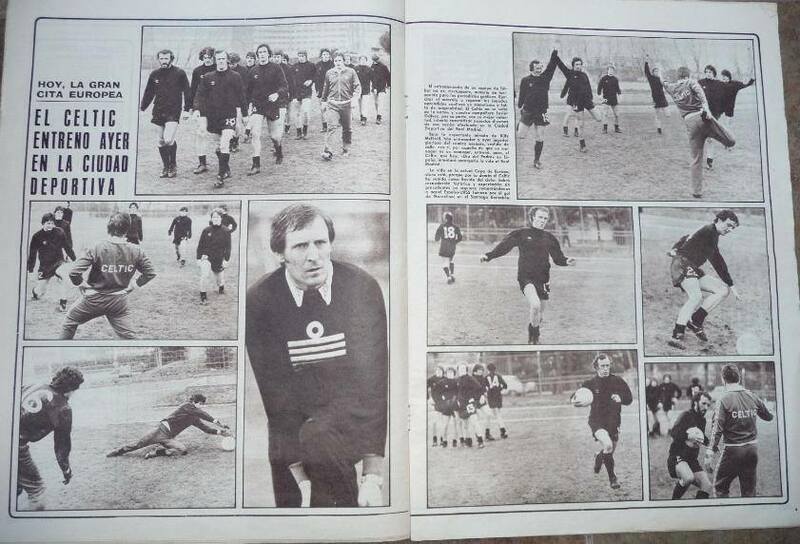 Being put through their paces by Billy McNeill and physio Brian Scott can be seen – among others – Bobby Lennox, Johnny Doyle, Danny McGrain, Frank McGarvey, Murdo McLeod, Roy Aitken and Roddy MacDonald. Previous PostA Song for SevcoNext PostSeventh heaven in the Gorbals!